With fiddle, accordion and contrabass, Lautari are optimally equipped for every village festival. And as it transpires, they have learnt a great deal from Polish village musicians. However, their avant-garde take on traditional compositions also finds favor in Jazz clubs and classical concert halls. The navel, El Ombligo, of Colombia’s music scene with its love of experiment is the capital city, Bogotá, birthplace of the psychotropic sounds of the band around contrabassist Santiago Botero. Circulating around Cumbia and Vallenato they continually break into Jazz and free improvisations. Asmaa Azzouz, Jacqueline George, Hagar Masoud und Yara Mekawi work with scintillating layers of sound composed of electronics, field recordings, Jazz structures, and concrete sounds. 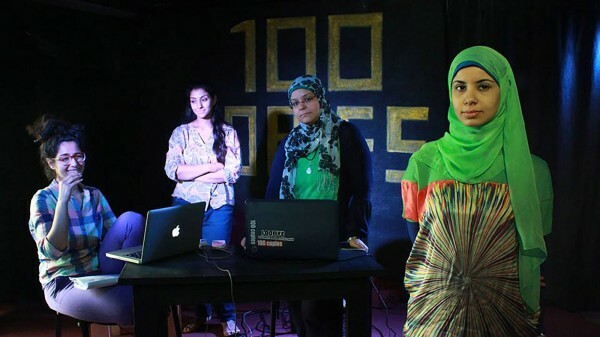 The four women on laptops and mixers invoke the media and sound artist Ahmed Basiony who died in 2011. Music “for free”: The authors of Library Music, designed for use on TV, in adverts, or computer games, are generally unknown musicians, but also greats such as Ennio Morricone. DJ Olaf Karnik dives in search of these pearls of the parallel world of pop.